The University of Alabama has one of the three richest athletic departments in college sports thanks in large part to a football program that has won three of the last five national championships. 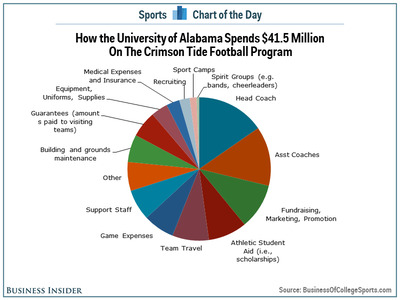 So it is not surprise that that the Crimson Tide football program is also among the most profitable. Of the athletic department’s $US143.8 million in revenue, $US88.7 million comes from the football program according to data obtained by BusinessOfCollegeSports.com. Of that money, approximately $US41.2 million went to other areas of the athletic department and $US5.9 million went to “non-athletic initiatives” at the university. 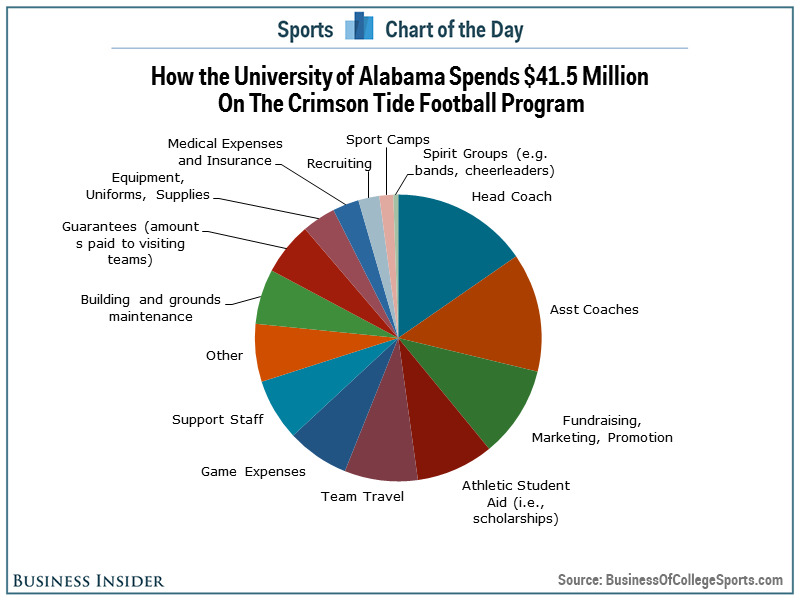 The rest, $US41.5 million was spent on the football program with the largest chunks going to head coach Nick Saban and his assistant coaches.